Compack Crushes from RPM Rural Products are designed specifically for the hobby farmer. These crushes feature a very basic body coupled with a concertina style headbail. They are recommended for hobby farmers because they are very simple units designed to make handling small herds easier. These crushes feature galvanised side gates with slide latch as well as a one piece rear door with nylon rollers. They also include a full walk-through Concertina Headbail. RPM Rural Products, the brand for the man on the land, is a leading provider of innovative livestock products and supplies. 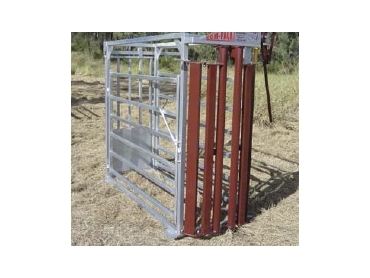 They specialise in cattle crushes, gates, yard systems, cradles, fences and other items.